Be Patient with Your New Buckwheat Pillow! 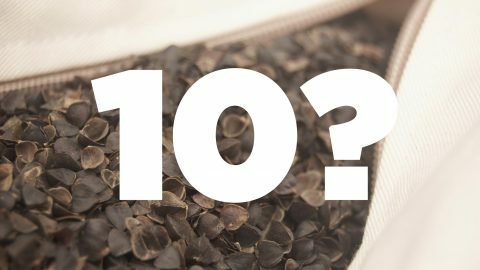 If you’re sleeping on a buckwheat hull pillow, you already know just how different it is from traditional pillow types. Western culture has taught us that a pillow should be soft, fluffy and light. When someone unfamiliar with buckwheat pillows picks one up, they’re bound to be at least a little skeptical. I was. When I got my first buckwheat pillow I didn’t take to it immediately. In fact, it took me almost a month to truly appreciate it. I’m really glad I didn’t toss it aside after the first night because I eventually fell in love with it. An overstuffed buckwheat pillow can quickly turn off new owners. They can feel much too firm if not adjusted properly. Some manufactures (including us) ship their buckwheat pillows stuffed on the full side. This gives the consumer the opportunity to adjust the pillow to their personal preference. For most, it’s preferable to take out some of the buckwheat hulls. Try removing a bit, and then take your pillow for a quick test drive. Notice how the pillow feels “softer?” That’s because there’s more room for the hulls to move, making the pillow more malleable. Some will prefer that their buckwheat pillow is fuller, offering more firm support. The amount of fill required for maximum comfort is different for everyone, so be sure to experiment. 2. Fluff or “Plump Up” Your Pillow. If your buckwheat pillow isn’t properly fluffed before you sleep on it, it can feel quite firm. Before you lie down, you’ll want to fluff the pillow to give it some loft. Push the sides together, creating a tall mound of buckwheat hulls. Then sink your head into the middle of the pillow. The buckwheat hulls will move to conform to the shape of your head, shoulders and neck. 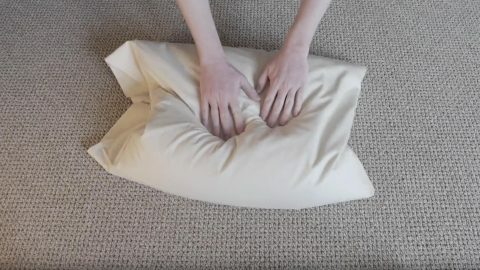 We demonstrate how to properly fluff your buckwheat pillow in this video. Buckwheat hulls can make a rustling sound when they’re moved. A few buckwheat pillow users complain that this sound can be distracting. 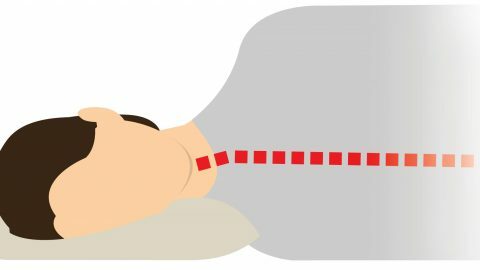 The sound is certainly more audible than any standard polyester pillow, but unless you’re the most sensitive sleeper, it’s not going to keep you up at night. We’ve found that the noise that buckwheat hulls make actually decreases over time as the hulls break in. After a couple of months, Hullo is significantly quieter. For those who are actually bothered by the rustling, we recommend you give your pillow at least a week before going back to a traditional pillow type. For many, the sound becomes soothing rather than distracting. Is a little rustling sound keeping you from trying a buckwheat pillow? We’ve created a video that helps to demonstrate the sort of sound you can expect from a new buckwheat pillow. Give Hullo a try for 60 days and if you don’t love it, send it back to us for a full refund. Cozy up with a book, get in the zone with yoga meditation, or offer casual seating. 3 Responses to How to Get Used to a Buckwheat Pillow: Be Patient! These are helpful tips. I recommend you link to these and or include them on Amazon where I purchased my pillow. How much does a pillow weigh when it is full? a standard size (20×26″) buckwheat pillow weighs about 8 lb.